Collect all the lost teeth with the Tooth Fairy. When kids lose a tooth, they can store it in the tooth box before placing it under their pillow. Customize the tooth box with the included name tag and rhinestone. 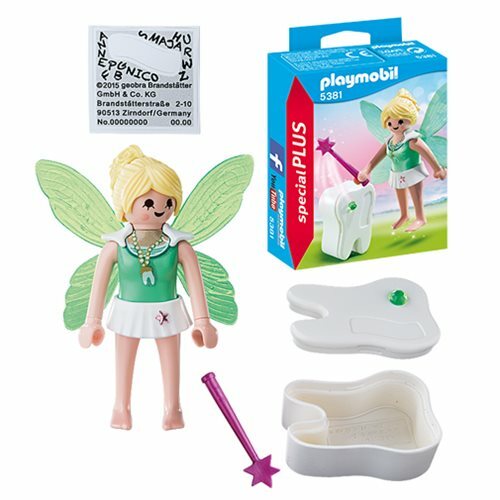 Play with this set on its own or combine it with any other PLAYMOBIL set. Set includes tooth fairy, wand, tooth box, name tag, and rhinestone. Recommended for ages four and up.Warning. Choking Hazard. Small parts. Not for children under 3 years.